Especially commercial and large steam bath installations require steam generators with sufficient capacity and dependable reliability. 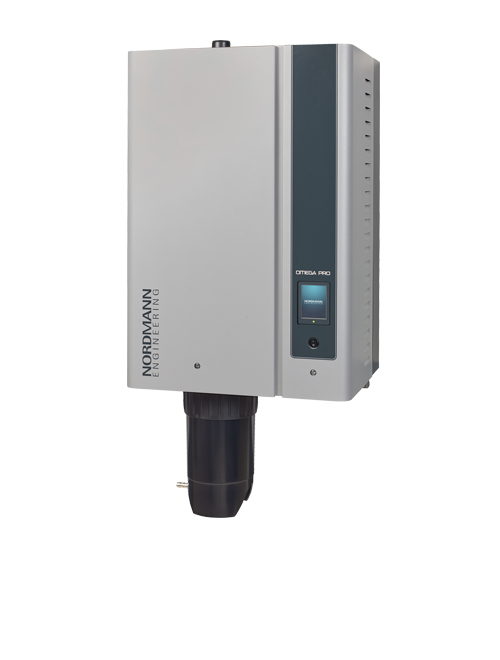 Nordmann Engineering designed the Omega Pro, which makes use of ohmic heating, specifically for such applications. 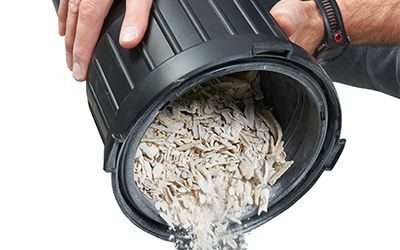 Omega Pro’s patented lime scale management employs a unique external scale collection tank. The system discards lime scale from the steam cylinder, moving it to the tank, which empties easily. The scale collection tank removes by service personnel easily without the need to open the unit. NOTE: There is no integral steam bath control system. 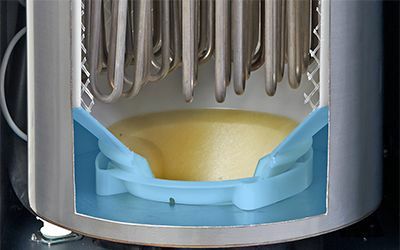 The water bowl is certified for compliance with the latest DVGW regulations, meaning the steam generator can connect to the input water line without the need for a disconnector. 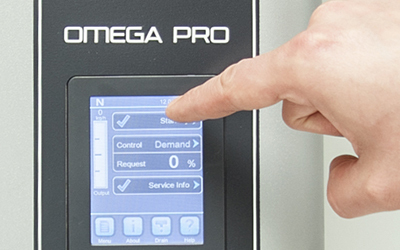 NORDMANN Omega Pro comes with all the common ports to enable its easy integration into building management systems (BMS), including Modbus, BACnet, etc.